A practice vocabulary in your child s native language. Choose from Spanish, French, Mandarin Chinese, Italian, German, and English all 6 languages on each DVD! Numbers, Colors & More introduces colors, toys, clothes, furniture and counting to 10. 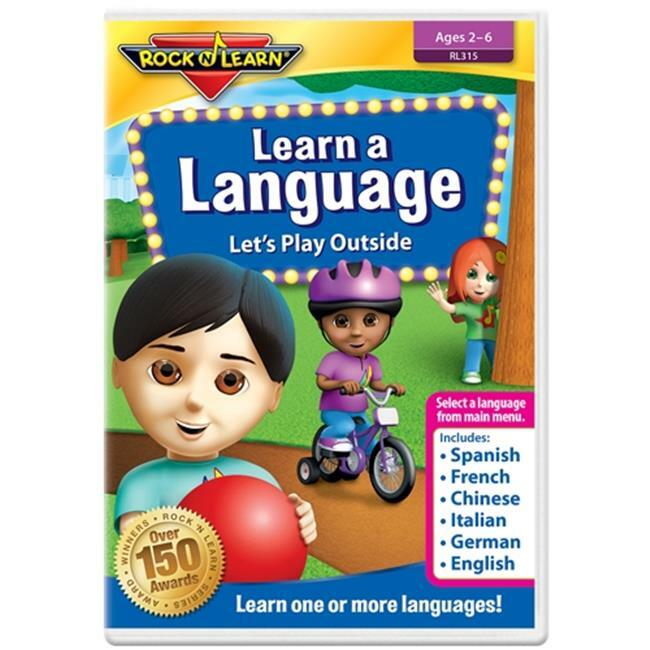 Let s Play Outside includes simple words and phrases that involve playful outside activities and objects, as well as nature and common animals. Approx. 35 minutes per language, 3 1 2 hours total per DVD!